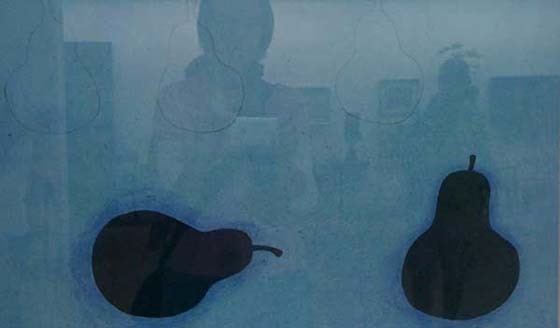 Self-portrait with pears at Kettle’s Yard house, Cambridge. It always a pleasure to visit this wonderful house. The light, the rooms, the spaces, the relaxed collection of images are received as intended…”Kettle’s Yard is a place where visitors would ‘find a home and a welcome, a refuge of peace and order, of the visual arts and of music.’ It is a favourite place to spend an afternoon. This entry was posted in Art and tagged fondness, imagination, studio. Bookmark the permalink.